The Burns monument, a Victorian cast iron fountain was originally erected in Dalkeith High Street near the junction with South Street to mark the centenary of Robert Burns' death in 1899. The cost was met by public subscription initiated by the local Burns club. The cast iron fountain was of a standard design, manufactured in Glasgow by George Smith &Co’s, Sun foundry. Soldiers marching off to the first world War. Suffragettes holding open air meetings. Parades that heralded visits by crowned kings and queens . Blackout procedures during the Second World War. Processions celebrating the end of the war. However,the fountain finally succumbed to the pressures of modern day traffic in the centre of a busy road junction. It was moved to the gardener’s cottage in King’s Park in 1968. In 2003 the fountain was then relocated to Komarom Court. Some repair work was carried out at that time and it was publicly inveiled to mark Robert Burns' Sesquicentennial (150th anniversary of his birth). Over the course of time the fountain bowl and cherubs were lost, as was the lantern on the top. 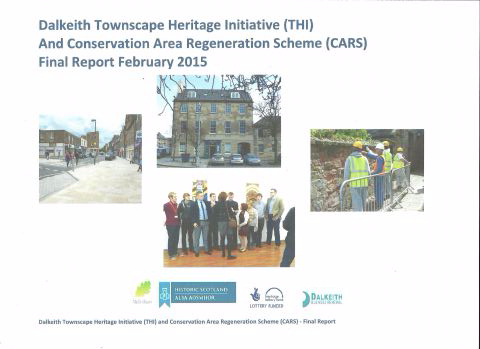 As part of the Dalkeith Townscape Heritage Initiative (THI) and the Conservation Area Regeneration Scheme (CARS), the idea of the restoration of the monument was discussed together with possible associated public realm improvements in the High Street. 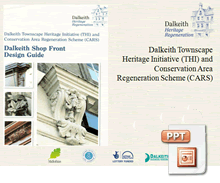 There was also a Facebook campaign led by Derek Hanlon on the Dalkeith Historic Town Facebook site . Funding was agreed in 2016 between Midlothian Council and Dalkeith Business Renewal and a grant was secured from Entrust. This enabled the restoration and relocation of the Burn’s Monument back to the High Street, with public realm improvements and new heritage trail panels adjacent to the former Cross Keys Hotel and the Tolbooth. Both these buildings have been restored under the Dalkeith THI/CARS scheme. Additional advice and support were provided by the Dalkeith History Society and the Cousland Smithy Trust ,who lent their 'Burns Plaque' as a template for the replacement item that can be seen on one of the roundels. The restoration work involved carefully dismantling the fountain from its location in Komarom Court and taking it to Lost Art’s workshops in Wigan . The specialist process of restoring the monument was then able to start. The stripping down and repair of the existing structure. The reinstatement of missing elements , ie the plaques set in the roundels on the four faces of the dome roof over the fountain . The production of patterns for and manufacture of the cherub and bowl which had been lost. The reinstatement of the lantern. 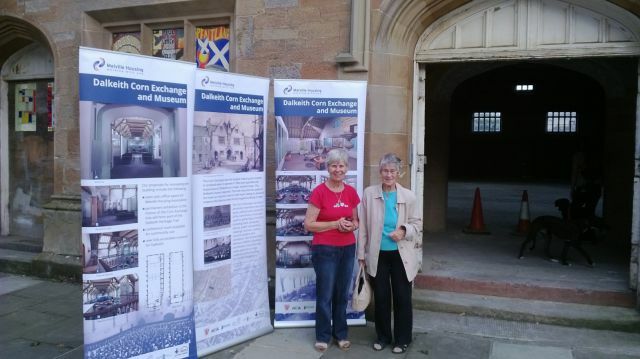 Research was carried out to find out what plaques were orginally located on the roundels.Discussions took place with the Dalkeith History Society and old photographs were examined. Evidence suggests that a plaque with the bust of Robert Burns was on one of the roundels.A Burns plaque from Cousland Smithy was kindly lent by the Cousland Smithy Trust as a template for the restored plaque . The Dalkeith Town Coat of Arms may have been on another roundel together with Dalkeith’s Masonic Coat of Arms on another. The lost items , the cherub , bowl and lantern were made with reference to the orginal designs for these fountains as they were built to a Victorian standard pattern book design. In addition, members of the Lost Art team visited existing versions of the orginal cherub and base section and commissioned 3D scanning of these that then formed the basis of the casting patterns and moulds. As part of the scheme to restore the Burns monument the pavement in front of the former Cross Keys Hotel and the Tolbooth has been extended to take in the site of the last hanging in Dalkeith . 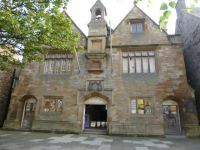 This has provided a wider and more comfortable pedestrian area and two interpretative heritage trail panels have been erected giving information about the two historic buildings.New seating and planting has also been provided and the site of the last hanging identified in the paving with text laid in a circular design into the paving flags. This was held on January 25th 2017 in front of an invited audience , over 100 people attended and were invited back to the Dalkeith Masonic Lodge to see an exhibition and have some refreshments . 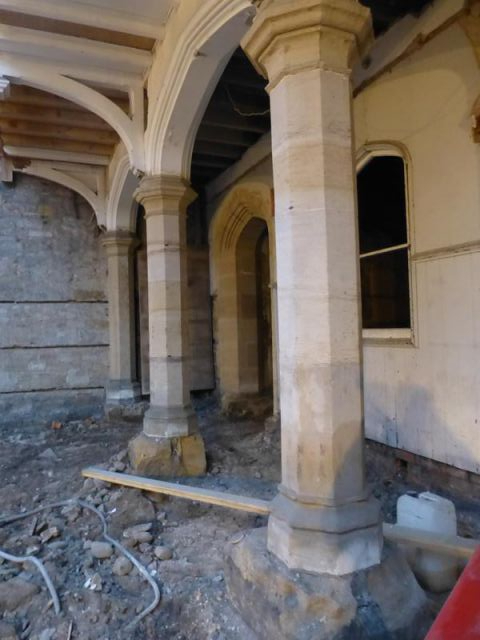 The repair and restoration work to the Corn Exchange is nearly complete . Melville Housing Association who now own the building have moved into their new office space and are open for business. Work to the new museum continues and the fit out is now under way. It is expected that the museum will open in May 2016.Community engagement work around the creation of the new museum continues and a programme of events is planned for 2016. The final Dalkeith THI Final Audit Report is now complete. This gives the background to the scheme , aims and ojbectives together with the outcomes . Basically the scheme has delivered all the outcomes orginally set out in the Action Plan but also with additional results which has been due to additional resources being made available from Historic Scotland , Dalkeith Business Renewal and Midlothian Council . Melville Housing Association have now appointed the Colorado Group as the main contractor for the repair, restoration and conversion of the Dalkeith Corn Exchange . Work has started on site to convert the building to provide Melville Housing Association with their new HQ with a new museum for Dalkeith and Community meeting rooms for hire. The plan is to complete the main work by Christmas 2015 with the new museum opening in late January 2016. As part of the community consultation process an exhibition with information will be held in Dalkeith library from Monday 19th January to Saturday 24th January and a public meeting with presentations explaining the scheme will be held on Tuesday evening, 20th January from 5.30pm to 8.00pm with refreshments in the County Hotel in Dalkeith.Please check on the attached link for leaflet about the scheme . Work progressing inside the building , excavating the mondern concrete floor to prepare for the new floor foundation. Or c/o Gorebridge Development Trust office , 58 Main Street , Gorebridge ,EH23 4BY, phone no 01875 823202. The Princes Trust Award ceremony for Scotland, "Celebrate Success Awards" was held on the 20th November at the Marriott Hotel in Glasgow. The Dalkeith Team was shortlisted for one of the award categories , "Community Impact", along with three other teams elsewhere in Scotland after stiff competition from a number of other very worthwhile projects. 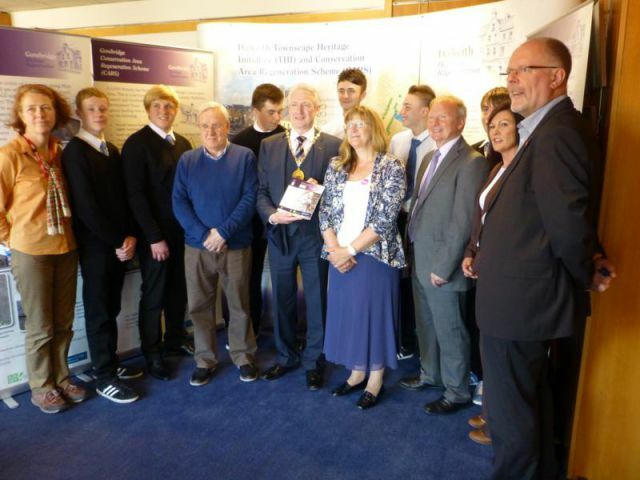 The Dalkeith team's project was the illustrated boards they did , depicting some of Dalkeith's history and heritage . Some of these boards are currently in the front windows of the Dalkeith Corn Exchange . Although the team did not win the final award , the judges praised their scheme . The project helped 11 young people with confidence building and communication skills . All the young people have since moved on to college courses, jobs, volunteering and lother projects, with confidence, aspirations and positive visions for the future. One of the team members , Dale said, "feeling part of our community has changed our lives". Photographs of the some of the Dalkeith Team taken at the Celebrate Success Award ceremony in Glasgow. The Dalkeith THI exhibition was set up in the County Hotel in Dalkeith so that visitors could see the extent of the work carried out in the town over the last 5 years. 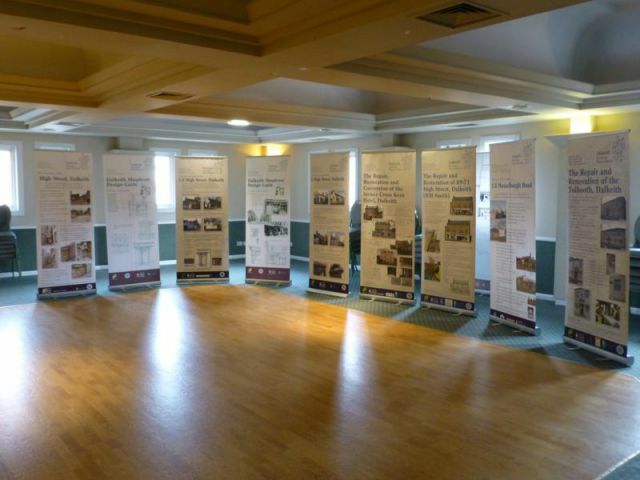 Copies of all the leaflets and advice notes were available .30 people visited the exhibition , many expressing interest in the Dalkeith Heritage Trail .Seeing the before and after photos of buildings that have been repaired and restored gave a reminder of some of the challenges that have been faced over the last few years to bring buildings back from the brink , ie the former Cross Keys Hotel , 1-3 Musserlburgh Road and no2 High Street ( The Blossom Garden Restaurant), all three were in a very bad state of repair . In all 32 Properties have been repaired and restored as part of the scheme . 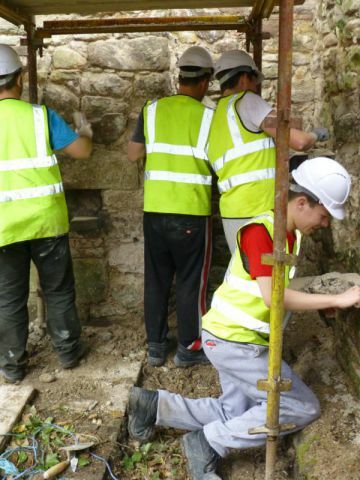 Over 60 people have undertaken the traditional building skills courses and workshops and 24 school pupils have taken up the schools heritage skills awareness course. 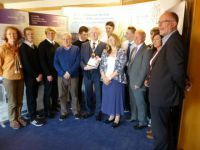 There have been numerous seminars , presentations , exhbitions and projects developed and undertaken over the last few years as part of the scheme . A full audit report is now being written for the Heritage Lottery Fund and will be available on this website soon . 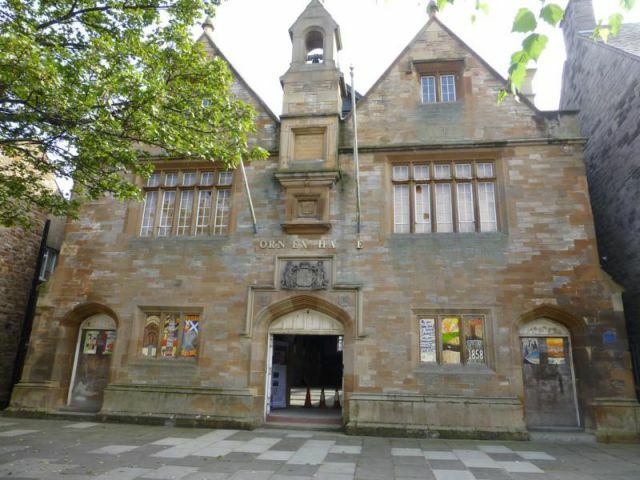 The Corn Exchange was open again this year with an exhibition illustrating the proposals that Melville Housing Association have to repair , restore and convert the building to their main HQ with a new museum for Dalkeith and community space. 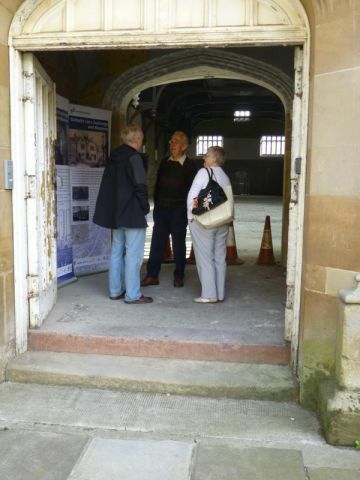 90 people attended and were able to see and appreciate the fanastic interior space and hear about the history of the building and the proposals for the buildings new use , all very exciting . Corn Exchange open , for open doors. Dalkeith THI exhibition in the County Hotel. Final phase of the Training Plan delivered. 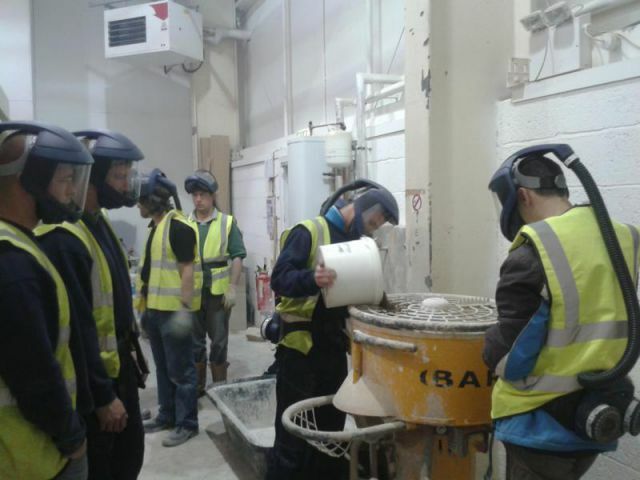 The final phase of the Dalkeith THI/CARS Training Plan was delivered in May/June/July 2014.25 Trainees have undergone the training at the workshops at Edinburgh College , 6 of them completed the on site training and mentoring at a site in Dalkeith at the rear of the High Street and 3 have completed the National Progression Award in Stone Masonry. 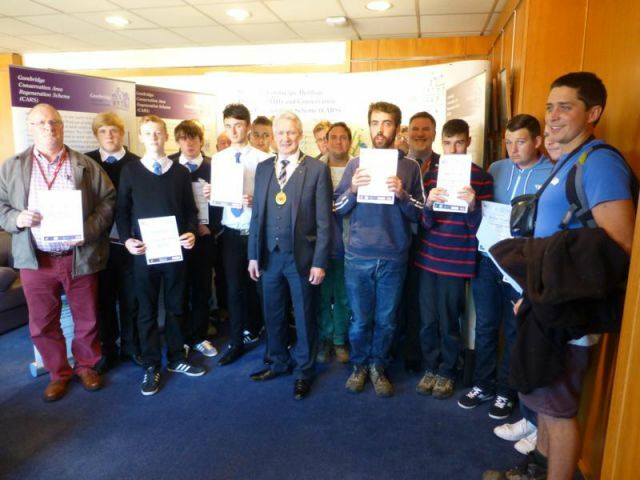 A special presentation event was held at Midlothian Council Chambers on the 28th August 2014, presided over by Cllr Jim Bryant, Council Cabinet Member for the Economy , Regeneration , Planning and Tourism and Midlothian's Provost Joe Wallace handed out the certificates to the successful trainees. Over 60 people attended the event . Photos of the presentation ceremony and trainees on site and in the workshop .